Communication is key for practically every organization on the planet. When communication falls apart, so does everything else. This is why managers and CEOs are constantly trying to improve the quality of communication among staff members. Bearing this in mind, communication at the upper level must also be streamlined to prevent hurdles from getting in the way, and this is where news and announcements come into play. When an organization reaches a certain size, gathering around the conference table to make an in-person announcement or communicate recent news and happenings isn't really possible. 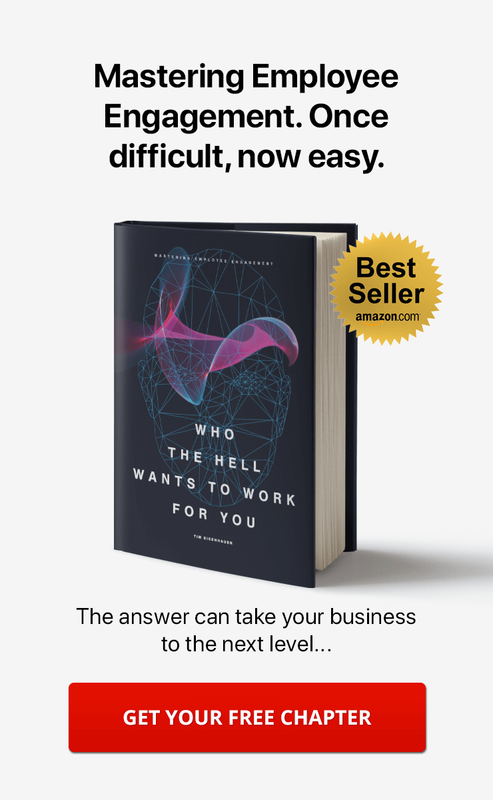 After all, much of this information needs to be distributed throughout the entire company, rendering this method highly ineffective for companies consisting of 50 or more employees. Finding a communication tool to spread the word about company news is a crucial. In this post, I'm going to cover some internal communication tips, and how you can use social intranet software to distribute company news and announcements. As technology progresses, new business communication tools are popping up all the time. Some of these serve as passing trends, but others come with staying power that simply cannot be denied. Intranet software finds itself sitting comfortably in the latter category, as it can be used by everyone in your organization. The best intranet platform will grow alongside the technological landscape itself, incorporating new advancements and further working towards creating the best possible user experience. Company intranet software is embraced for many reasons, with communication being one of the most important to highlight. In addition to interaction and collaboration benefits, your intranet serves as an excellent platform for company-wide communication from upper level staff members. It is, in this sense, a fully-functional intranet news channel for your organization that can be used any time of the day or week. Why Do You Need to Share Company News on Your Intranet? What are Your Goals? What are the Benefits? Your intranet news channel will have measurable results, but it's helpful to solidify your goals before moving forward. Improving communication at work is an effective way to take your business to the next level, but this just scratches the surface of what is possible when your intranet software is properly utilized. Before listing out some internal communication tips, you need to think about your goals. Now, your goals may vary considerably from other organizations, but the following are some example goals and benefits you'll experience when you improve internal communication. Increased Clarity & Transparency - When details get mixed-up, recovering can often be a trying experience. This is especially true when it comes to new policies and procedures, and these mix-ups often occur because people aren't paying attention. They can also result from poor communication, and improving how employees get their daily company-related news can be the best way to keep these problems at bay. Improved Employee Engagement - An engaged employee is one that a) will own projects and tasks, b) is clear about goals and expectations, and c) acts decisively on the company's behalf. Improving employee engagement is certainly be easier said than done, but often times, it comes down to ensuring that each person feels like a member of the organization, rather than someone who is simply logging their time each day. Properly conveyed company news can be very effective at boosting levels of employee engagement=. Constructive Feedback (Multi-Way Communication) - One of the best things about sending out a mass announcement is that you can use it as a platform for a discussion or to gain feedback from staff members. Employee feedback is indispensable, as it can be used to improve everyone's experience. This can also be an excellent way to nip potential problems in the bud should they come to light via an announcement, which will also result from the help of staff members. Consolidation of Software Applications - These days, it seems as if there is a specialized type of software for practically any task. Logging in and out of applications just to conduct a quick, simple task can waste quite a bit of time throughout the day, let alone the entire workweek. It's exhausting. 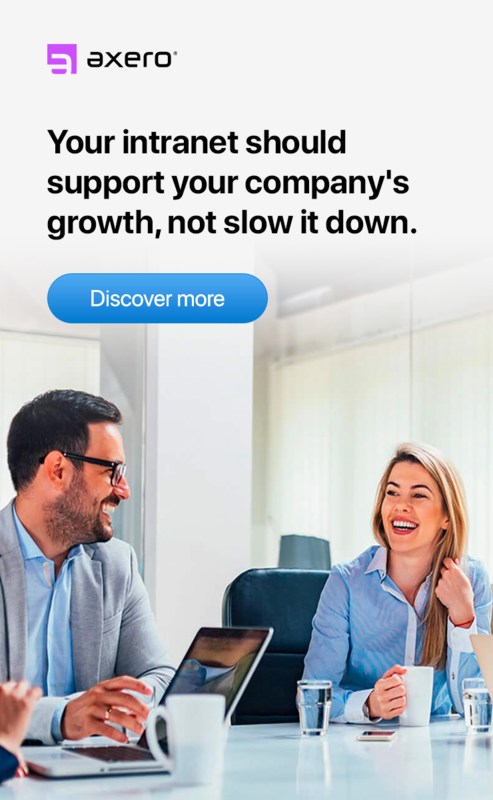 When your employees no longer need to move between applications to get updates on the latest happenings within the organization, this issue begins to fade away. Improved Company Culture - The culture of a business can have quite a large impact on how it's viewed by your internal audience (employees) and outside audience (customers). The interconnectedness of today's internet-centric world has made it this way ... modern consumers want to feel closer than ever to the companies they support, and this is where company culture sets in. Your intranet news channel is perfect for sharing announcements that can help give your organization its very own "brand voice," which is something that simply cannot be bought or sold. Saved Time (and money) for Upper-level Employees - As you might expect, distributing news to everyone within your organization can be a full-time job. Posting news and announcements to your intranet is an easy, intuitive process. This means everyone tasked with such responsibilities can expect to save time after making the switch. What are the Factors Affecting the Distribution of Company News on Your Intranet? Once you have defined your goals and why you need to improve internal communication, you then need to figure out how to achieve them. So again, before diving into internal communication tips, lets look at some factors that affect the distribution of company news. In most cases, your intranet's "activity stream", or homepage, or department homepages will list the latest news and happenings that are occurring within your company. Whether or not this is actually effective will depend on many different factors. Type of News - The first thing to think about when putting together an intranet news communication plan is the type of news you'll be broadcasting. In most cases, you can expect to communicate not just one specific type of news via your intranet, but many. These can include messages from the CEO, updates about the company or company policy, and intranet-specific changes, among many other options. If it counts as being news-worthy, your intranet is the perfect place to talk about it. Design - The design of your activity feed or intranet news page is essential. Your intranet design can typically be described either as "clean" or "clumsy." In the rare cases that there might be an in-between, the elements leaning towards "clumsy" are enough to derail the experience altogether. 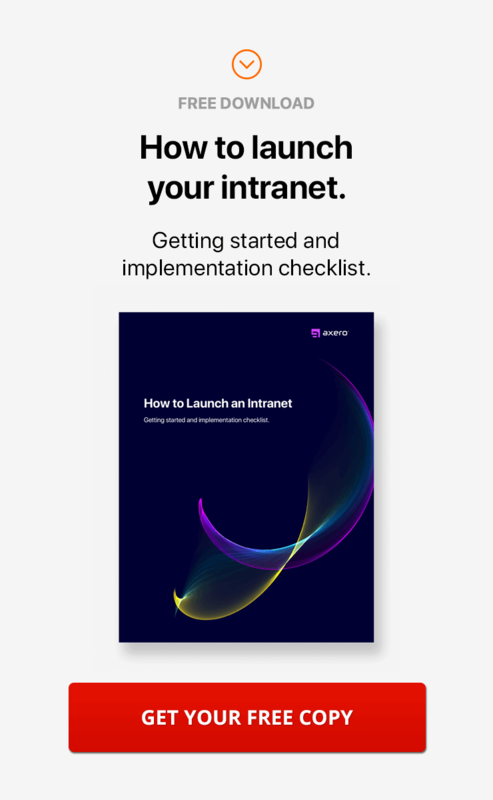 An intranet must feature a clean, sleek design to be an effective grounds for communication, and this is one of the most commonly-made mistakes among first-time adopters. Timeliness / Importance - It doesn't matter what type of news you're presenting; it has to be timely to be effective. If you feel your intranet is too cluttered or difficult to navigation, it probably has to do with over-posting ... and this has many other problems as well. More often than not, this issue can be avoided by only posting timely and pertinent information. Quality of Content - News is just like any other type of content that might get posted to your intranet, such as blog posts and articles. It's main purpose may differ, but the importance of creating high quality content remains strong across all channels of media. Poor-quality news posts will likely be overlooked by employees who are too busy to give them the time of day, yet those which are properly constructed and interesting to read will attract plenty of views from your employees. Consistency - Consistency is key in all aspects of business (and life in general, for that matter), but this holds especially true when discussing intranet news and announcements. When you communicate news to staff members on a consistent basis, they know what to expect instead of being thrown curveballs throughout the week. On the other hand, inconsistently-reported news can be difficult to follow and often lacks the "punch" that managers and CEOs are looking for. Remaining consistent in both the types of news content being posted and when news gets posted will serve you well here. People in leadership positions are generally aware they need to take a different approach to passing down information. Even though they realize this, they may not know where to start or which route to take. This is especially true for anyone new to intranet software, but it's important to realize that making noticeable changes isn't difficult. Survey Your Current Situation. What Currently Works for You? What Can You Do Better? - It's hard to move forward if you don't first look at your current situation. Understanding what is working and what is not will give you a base ... and it will also help you and your employees view change in a positive manner. Ask yourself where your current methods are falling short, and note of the changes that need to be made to steer your company back on track. Many decision-makers believe they can skip this step without detriment, but the problems that can arise are simply not worth encountering. Start by Improving Design, Usability, and Accessibility - The design and flow of how updates, news, and announcements are shared on your intranet is something you can't overlook. As stated above, a poorly-designed newsfeed will do nothing but cause confusion among your employees, rendering your intranet useless. Improving your intranet design, layout, usability, and accessibility can be either a simple or complex process depending on the platform. However, in the end, it's one of the most important things you can do to create a more informed organization. Skip Nonessential News. Trim the Fat. - If you really think about it, just about anything can constitute as news when spun properly. Many types of "news" would not count as being truly essential for your employees, so there's a case to be made for skipping nonessential news. This is especially true if your newsfeed is already congested with information, as anything that doesn't absolutely need to be there should be avoided. Think about who the news you're posting will affect and how it will affect them. Ask for Feedback. Give Them a Voice. - Feedback from employees and intranet members can be worth its weight in gold, yet it's mind-blowing how many "higher-ups" overlook the importance of sourcing it. There will be plenty of times when feedback is given naturally, but this doesn't mean you shouldn't ask for it. Just ask. Whether it be virtual comment cards or simply asking community members to weigh in on a piece of news, gaining feedback about how these individuals are getting their news (and if it's working for them) can be an immense help in furthering the utility of your social intranet. Create Engaging and Informative News - Believe it or not, it's possible to make even the most exciting news seem dry and boring if you don't take the right approach in presenting it. Creating engaging news posts is certainly a learned skill, and it can take a bit of trial and error to find a "voice" that will break through the monotony of the workweek and truly speak to your employees. Just as articles and blog posts need to be well-crafted to be of any noticeable effect, so does a news post or announcement. This often means putting extra time into building-out the perfect post, but doing so will be more than worth your while. Keep Important News Brief and to the Point - There will be many scenarios where you'll want to go into great detail when sharing news and announcements, and you shouldn't hesitate if it feels right. At the same time, long drawn out posts can be difficult for employees to read, which is why important news should always be kept succinct whenever possible. You don't want to leave out any important information, but superlatives are best omitted when you're trying to get a point across. Designate Community Leaders and News Ambassadors - An intranet's newsfeed can surely benefit from showcasing the presence of a CEO or high-level manager, but chances are these individuals won't have time to focus on crafting more than just the occasional post. Designating employees as news ambassadors and whose intranet team roles clearly focus on distributing intranet news is the perfect solution to this issue. It will free-up time for upper-level employees and ensure that news posts maintain a consistent voice. When choosing someone as a news ambassador, you'll get the best results from people who have proven to be adept at navigating and contributing to your intranet. Mention Events Occurring Outside of the Company - As you might expect, your intranet newsfeed is a perfect platform for announcing and discussing company-centric events. The business landscape is far-reaching and vast, and there's no reason to overlook all the other opportunities that exist outside your own organization. PR events, classes, conferences, and any other enrichment opportunities should be highlighted as part of your intranet communication and news plan. After all, this may increase awareness for your brand if employees take advantage of these opportunities and attend events as ambassadors for your organization. Communicating company news and announcements often gets difficult if you are a large company, since it typically comes from the top and can get mangled and twisted as it trickles down. Let your company's social intranet serve as a vehicle for distributing news, and past headaches will quickly begin to fade away. 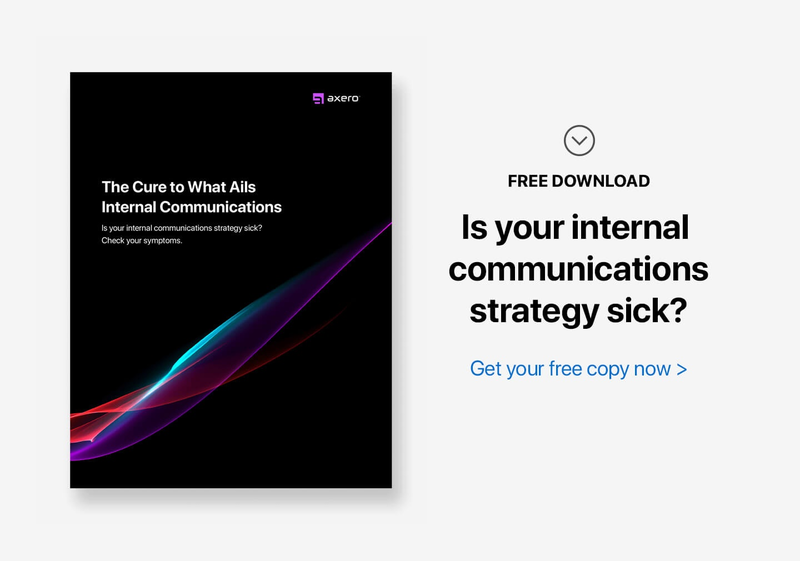 Hopefully this post, which is more about your approach than actual internal communication tips, helps you take a deeper look at improving communication in the workplace. Nicely done. I'd correct the 'sofware' typo though.